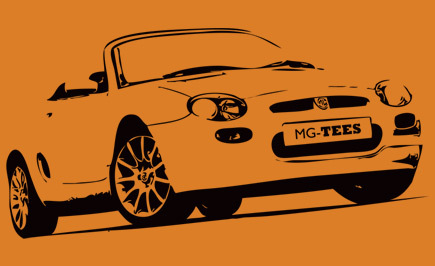 Our fabulous MGF T-shirt is printed to order onto a 100% heavyweight cotton shirt. Quality guaranteed. Print colours are as shown above, when selecting your t-shirt colour please also note the print colour. Place your order today and receive your t-shirt in 4-5 working days. Personalise this t-shirt with your own registration number for just an extra £5! Email us at sales@mg-tees.co.uk to place your order.